Volume Two takes the calling techniques found in Volume One a step further with more details on the actual calls and additional information, such as........ those popping/nervous grunts (have you heard them?) they can be the difference between success or watching the bull walk away. We have live footage of an elk making the popping/nervous grunt in the woods. 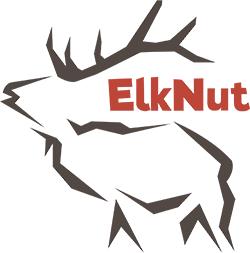 A 60 minute DVD featuring advanced elk calling techniques. We will cover in depth the lost cow call and when to use it. Also tips on finding bulls that are not vocal and bringing them into bow range just by finding fresh elk sign. We also discuss how to use the call and stalk method on those early season bulls along with much more. For more calling techniques, visit Outdoor Hub's channel and their Elk Calling Tips playlist at: https://www.youtube.com/playlist?list=PLD9D2BA8783C7EF90&feature=view_all The second clip from Calling All Cows, Bugling Bulls and Beyond Vol 3. We've tried these calls with amazing results. Even cows that may have seen you (but not smelled you) come back to these calls. These methods will bring more excitement to your next cow hunt. Find the complete DVD at www.elknut.com. Click the button below to add the Bugling Bulls and Beyond Volume 2 to your wish list.